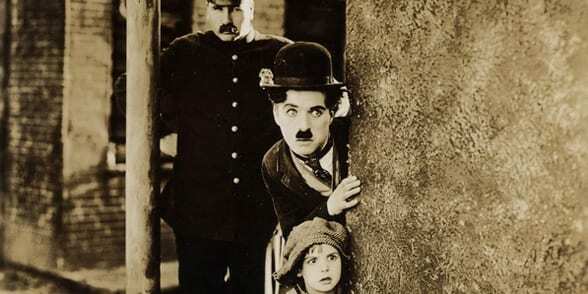 Chaplin’s the Kid: Inside Story - Slapstick | Bristol's Silent Comedy Festival. Chaplin authority David Robinson offers fresh insights on Chaplin’s THE KID – presented later this evening with live performance of Chaplin’s own musical score. One of the world’s great comedies, at the same time achieving a pitch of emotion rarely paralleled in cinema, The Kid derives from Chaplin’s own life experience, and proves his fundamental conviction that comedy and tragedy are separated only by the thinnest line. He also shows how the six-year-old Jackie Coogan provided Chaplin with the perfect mimic, enabling him to realise his own internalised and autobiographical title character.